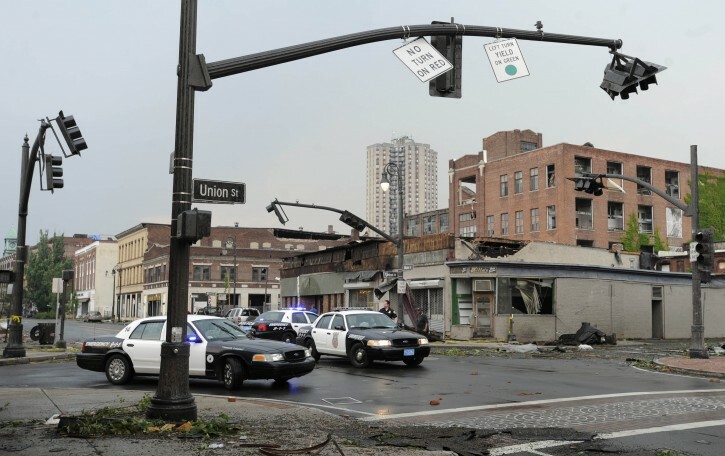 Springfield, MA - At least two tornadoes swept through western and central Massachusetts Wednesday, sending debris slamming into buildings and killing four people, Massachusetts’ governor said. Gov. Deval Patrick said two people died in Westfield, one in West Springfield, and one in Brimfield in the central part of the state. He had no details about those killed. 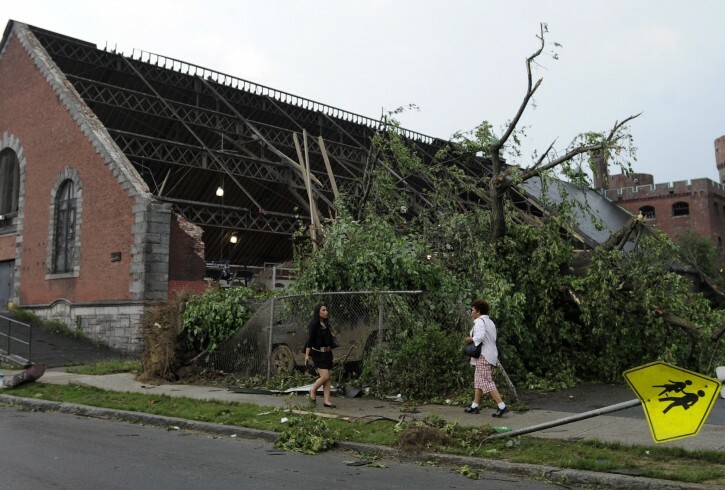 The storms did extensive damage in Springfield, the state’s third largest city. 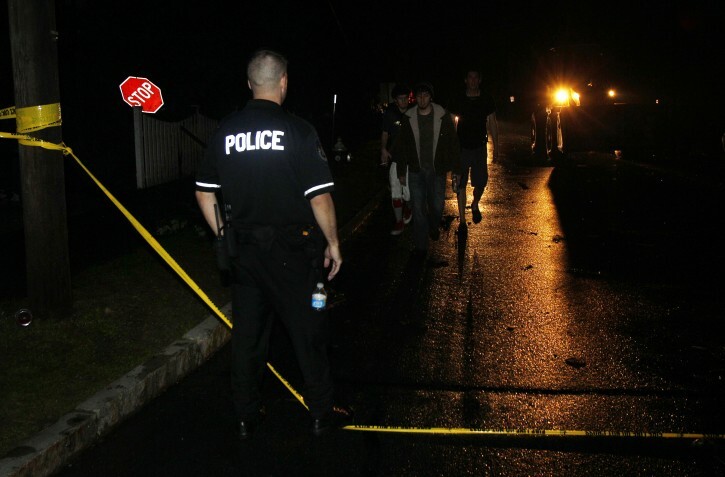 State police report 33 injuries in Springfield. Police said five of the injuries were reported serious and required surgery. Patrick said the path of damage from the first and more powerful of the two tornadoes extended from Westfield, just west of Springfield, and extended east to the community of Douglas. He said the second, slightly less powerful, tornado cut a path from West Springfield all the way to Sturbridge in the central part of the state. Patrick declared a state of emergency and called up 1,000 National Guardsmen. The storms also caused an unknown number of injuries and extensive damage. Patrick said the death total was preliminary. Bob Pashko, of West Springfield, said he was coming from his doctor’s office when the storm started and he went to a downtown bar in Springfield to wait for a ride. The Rev. Bob Marrone of The First Church of Monson said the storm cleared a view he’s never seen across the valley where the town sits. 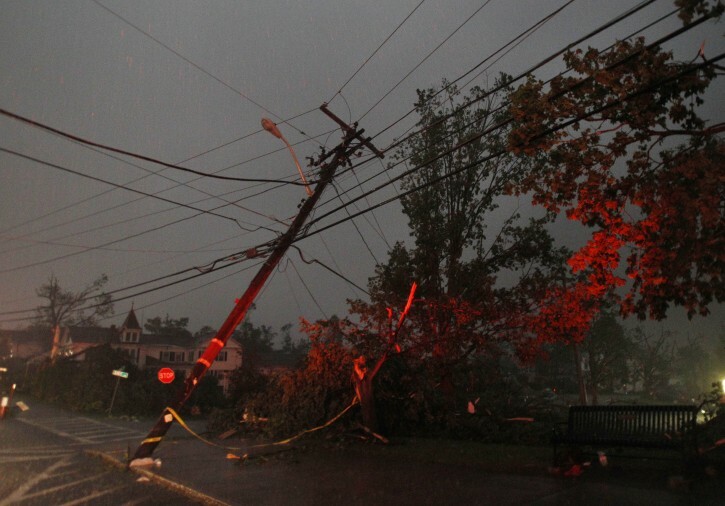 The storm hit the Springfield area after a tornado watch was issued for much of the East Coast, including Philadelphia, New York and Boston. 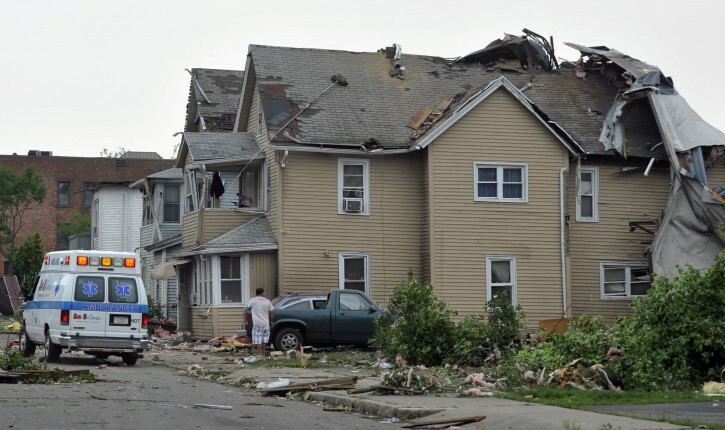 Sen. John Kerry, D-Massachusetts, said he was joining Patrick in a planned tour of tornado damage Wednesday night. 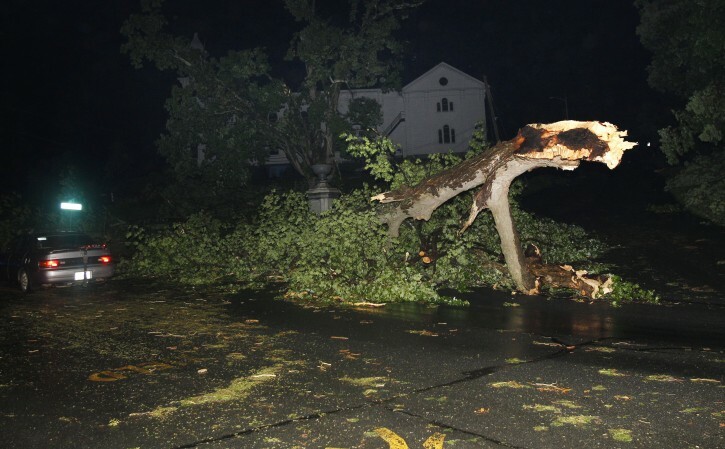 Patrick said there was extensive damage in Hampden County, especially to homes and other structures. He said there were a number of live wires down. He said at least 48,000 homes were without electricity. The state has opened shelters for those whose homes were damaged or who need a place to stay. Patrick repeated his call for superintendents in the 19 affected communities to cancel school Thursday. He said state employees in those areas also are urged to stay home and off the roads to give cleanup crews a chance to work. 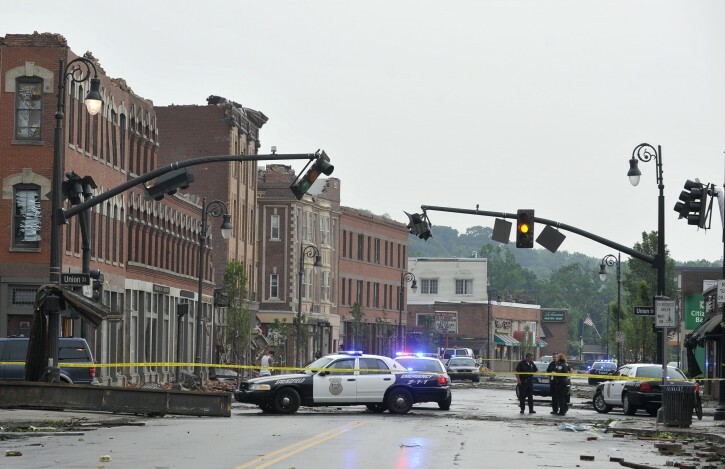 The governor said he had preliminary reports of some looting in downtown Springfield. He said that looting tapered off as heavy rains set in. The State Police is securing the area. No looting arrests were reported. Patrick said the damage has hit home for him and Lt. Gov. Timothy Murray. Murray is the former mayor of Worcester and Patrick owns a home in western Massachusetts. it seems every day you read the news and there is another catastrophe somewhere. i'm starting to loose count with all these names already. May Hashem send these people much help and much hope. I will do what I can to lend assistance. There are some yiddin there as well. Any news on them?